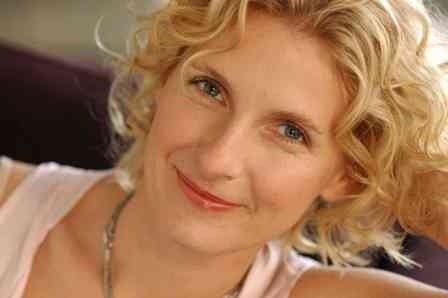 I have been a huge fan of Elizabeth Gilbert, even before I read anything she had ever written. I posted a video of a talk she did once before, and I still think that as a writer she has a great deal to say about creativity. I am a bit of a girl, so I read it like one. And I loved it. The book reads on the surface as a travelogue, or a find-yourself search for spiritual enlightenment and balance. I have heard many criticisms of it for this very reason, people suggesting that it is superficial, that it is a privileged Westerner imposing her selfish desires onto the search for inner balance. Yeah, it might seem like that. But it is also painfully honest, and needs to be read the way it was lived – in the moment. The book is divided into 108 chapters, and each one must be read for the beauty it contains. Some are long and profound, some are short and quirky. Each one contains a small nugget that must be examined and mulled over. The language is beautiful, the images are wonderful, and her description of her fight against loneliness and depression in the first section is brilliant and insightful. I do think that perhaps the hype is a little… hyped up. The book was nothing life-changing, and I am sure there are hundreds of people with stories that are much more interesting. But it is still worth reading, and very enjoyable. 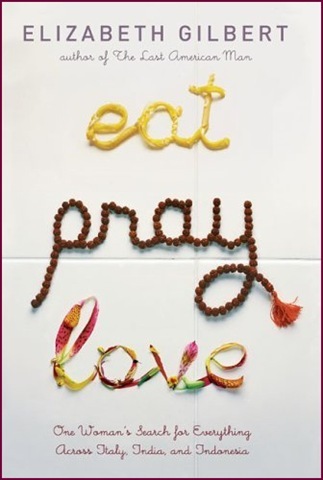 Eat, Pray, Love. What more do you need? If you haven’t heard of Eat, Pray, Love by Elizabeth Gilbert, then you obviously don’t watch enough Oprah. If I am not mistaken, it has been on the New York Times bestseller list for over three years now. How do you follow on a success like that? What do you do to top that? And if you can’t, how to you cope with that realisation? Author Elizabeth Gilbert presents a rather intriguing look at the creative process. Watch and listen, and see what you think.